If you have a General Motors vehicle covered under the ignition switch recall, you're probably still waiting to have it fixed. The automaker said Monday it is still in the process of notifying customers as to when they can get their cars repaired. General Motors had indicated that work on the recalled vehicles would begin on Monday. The company's instructions to vehicle owners say that "beginning April 7, parts will become available" for some of the six affected vehicle models. But it wasn't clear on Monday afternoon whether any dealers are in a position to perform these repairs. GM spokesman Alan Adler said Monday he didn't know how many replacement parts had been shipped to dealerships, or when the majority of parts would be available. Six dealers in different parts of the country contacted by CNNMoney on Monday all said that they don't yet have the new part. The automaker has said customers should make appointments at dealerships, and that more replacement parts for the massive recall would be available "as time goes on." Adler said GM expects to complete all repairs by October. The ignition switch recall applies to a total of 2.6 million vehicles. The faulty ignition switches can be knocked -- say, by a knee or the bump from a pothole -- and turned off while the vehicle is on the road. That disables the power steering, power braking and the airbags. General Motors (GM), which announced the recall two months ago, said it learned of problems with the ignition switch as early as 2004. Thirteen deaths have been tied to the issue. Federal investigators, Congress and attorneys representing GM owners are asking why the company didn't issue a recall years ago. 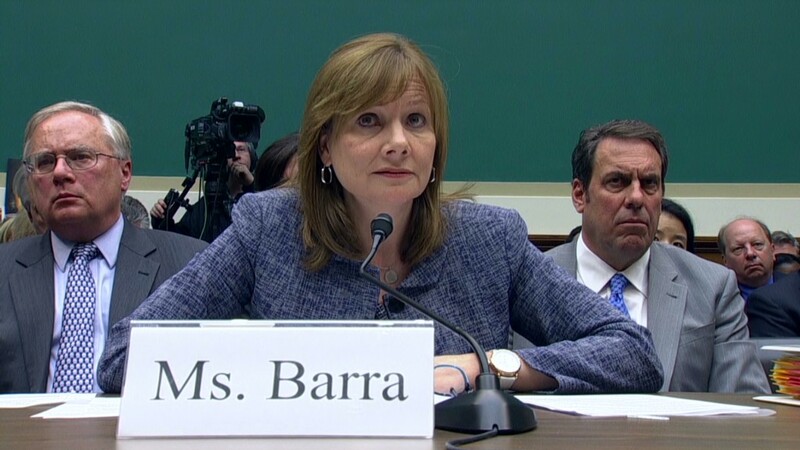 GM CEO Mary Barra apologized and told congressional panels she didn't know why there was a delay. But lawmakers appeared skeptical, and a federal regulator said GM did not provide pertinent information. The fix is available for model years 2003 through 2007 of the Chevrolet Cobalt and HHR; Pontiac G5 and Solstice, as well as the Saturn Ion and Sky. Later models of those vehicles have also been recalled, and GM has said parts for those cars will be available later. Documents that General Motors submitted to Congress showed a slight modification to that part has provided additional torque, or pressure, to keep the vehicle from accidentally turning off. Engineers made the switch indent plunger slightly longer -- by about the width of a quarter. How long it takes: General Motors said the repair takes about a half hour. But it warned customers they may have to leave their cars at the dealer for longer due to "scheduling requirements." If your dealer closed down: Looking for a Pontiac or Saturn dealer? You won't find one, since those brands were discontinued several years ago. But owners of those cars -- and the recalled Chevrolets -- can bring their cars to any Chevrolet, Buick, GMC or Cadillac dealer. While waiting for the fix: General Motors says your car is safe to drive. But it also says drivers shouldn't operate the cars with keys attached to heavy key rings. It recommends drivers have nothing attached to the key while driving prior to the fix, and after, that they only attach the key to the electronic key fob. General Motors is providing a free rental car to drivers who are concerned about their vehicle's safety.